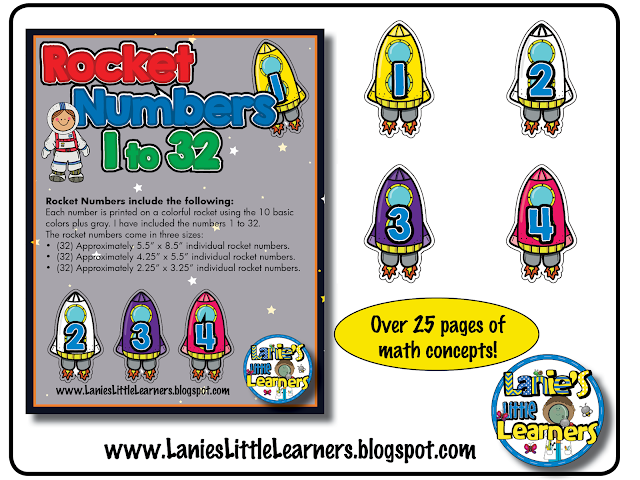 I use the 5.5” x 8.5” Rocket Numbers 1 to 32 on the floor in my classroom. This is where the students lineup to leave the room. I reserve number 1 as the line leader’s spot, number 2 as the door holder’s spot, and since I have only 22 students; number 22 is reserved for my caboose. To vary how the students line-up I use the 2.25” x 3.25” size Rocket Numbers. 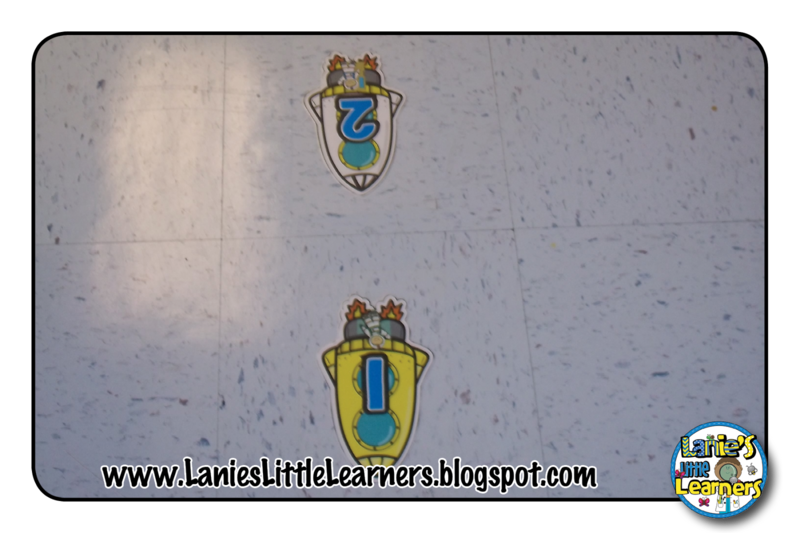 At the beginning of the year, I draw the number from my jar and the student takes the smaller number rocket has to match up the number on the floor using 1:1 correspondence. As the year progresses I will show them the number and they will have to find the matching number. At the end of the year I will call the number out and they will have to find it on the floor without visual support. Below is a picture of the Number Rockets in use in my Pre-K classroom. Each rock is on of 10 primary colors. Another idea to vary the way the students lineup is to call out a color rocket and have the students find the matching color rocket to stand on. (32) Approximately 5.5” x 8.5” individual rocket numbers. (32) Approximately 4.25” x 5.5” individual rocket numbers. (32) Approximately 2.25” x 3.25” individual rocket numbers. Directions: It is recommended to print on card stock, trim along the black border leaving a white edge, and laminate for durability.